I know it’s been awhile since I’ve written. Still trying to get into a rhythm of making, photoing, and then posting. Thanks to technology and a busy schedule, there is usually a breakdown before the “posting” part. I’m working on it. I had some free time last week, so I took a few minutes to do some rearranging and organizing in my craft room. My poor pegboard spinner is someday going to come crashing down from all the weight hanging off it. To alleviate a bit of its suffering, I decided to move my dry decoupage and peel-offs to a new three-drawer Sterilite storage container I got this summer. And, as usual, when I start organizing stuff, I find things to play with and get all distracted. I was good about setting them aside this time, so they were waiting for me on my desk when I woke up early and wandered in. What I found then were some strangely colored butterflies, a page of white grid peel-offs, and a gold sheet of beautiful butterfly and flower peel-offs from StickerKing. I have way too many butterflies, so I’m always looking for a way to use them up. On my desk, unrelated to this card forming in my head, was a piece of orange, flowery paper that I hadn’t put away. This morning they all fell into the same card, which turned out about halfway like I’d imagined. Designs always morph into something I haven’t intended. 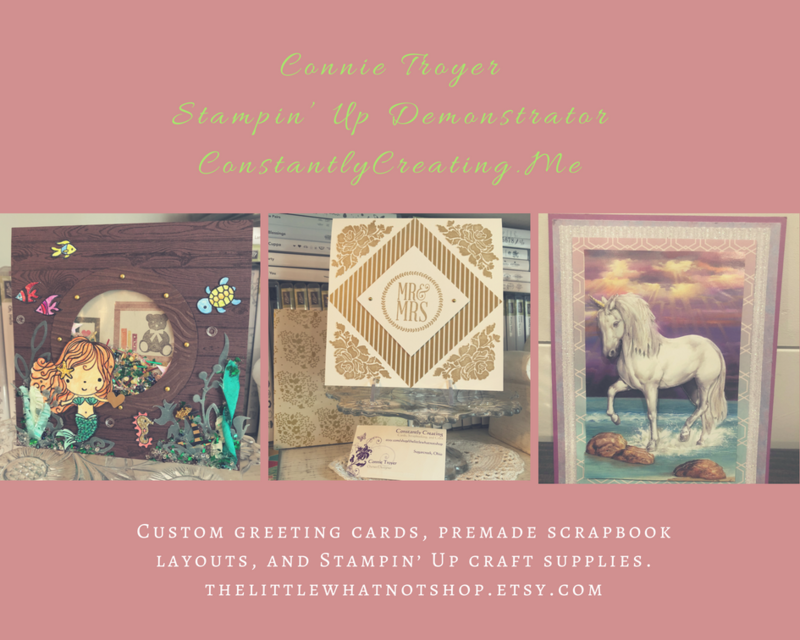 I pulled the light green color in the butterflies into my card base by using Stampin’ Up’s Certainly Celery cardstock (very retired). The orange flowery (maybe K and Co?) paper decided to become the background mat. I positioned three of the white grid peel-offs on top of it because they had reminded me of latticework initially. At this point everything was glued down. And then I couldn’t decide where to put the butterflies or how many to use. I thought I’d had it figured out, but then I didn’t like it. The three big ones felt too crowded and overwhelming on the paper (the card is only an A2 – 4.25 x 5.5), but we’re generally supposed to use the “rule of three” in triangles when we create so it’s more pleasing to the eye. I turned the base and the attached paper every other direction looking for something that felt right. I needed a place to put a sentiment too. I ended up tearing off the orange paper and grids (gently) so I could flip the direction of the card opening. Then I placed the punched sentiment piece onto the third grid and planned to add a smaller gold butterfly above it to use that “rule of three” technique. 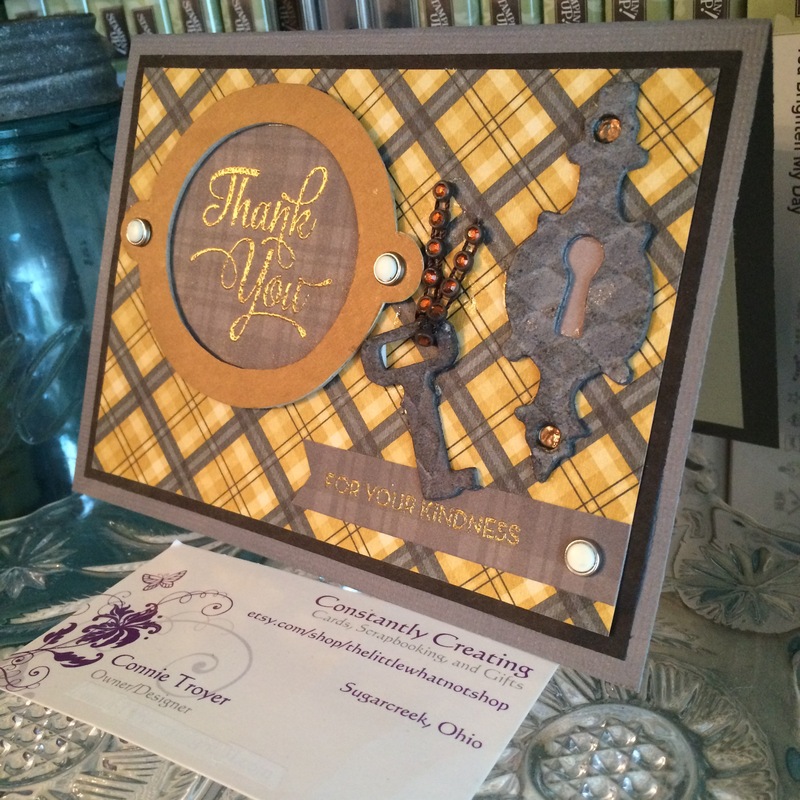 I added a tiny rhinestone gem underneath the words “Thank You” because I didn’t like the white space. The rhinestone is from CTMH (“Bitty Sparkles”) and they are probably my all-time favorite gem. They’re just so delicate and pretty. 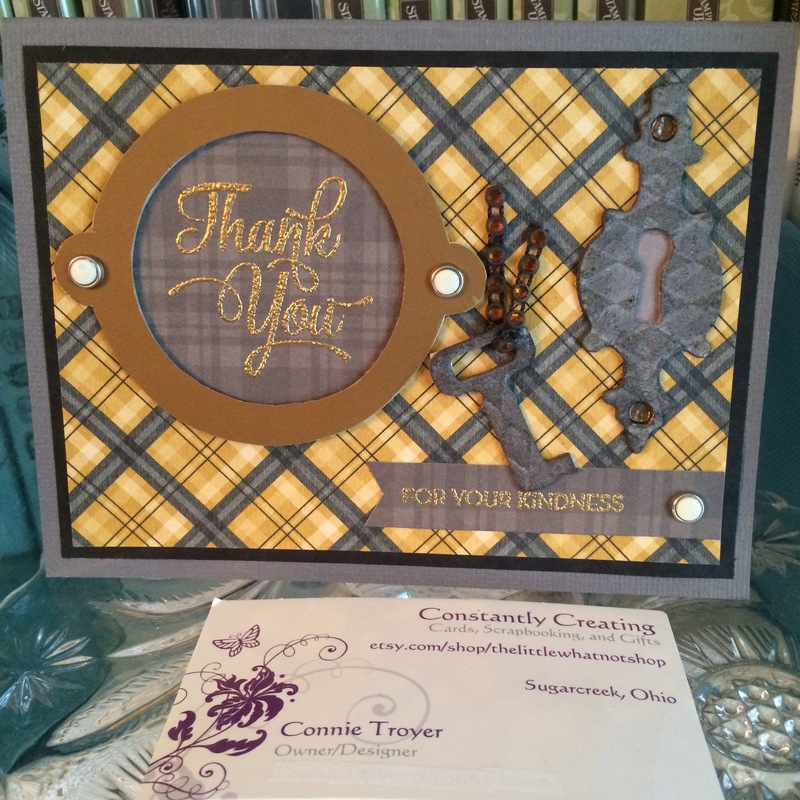 The “Thank You” stamp is from the “What I Love” Sale-a-bration set from Stampin’ Up (now retired). And I used Certainly Celery ink that matched the card base. By the time I got to the inside, I was getting tired and lazy, so I didn’t feel like hunting down and cutting up a whole sheet of paper. I found a white scrap on my desk that was almost big enough to become the part you write your message on. 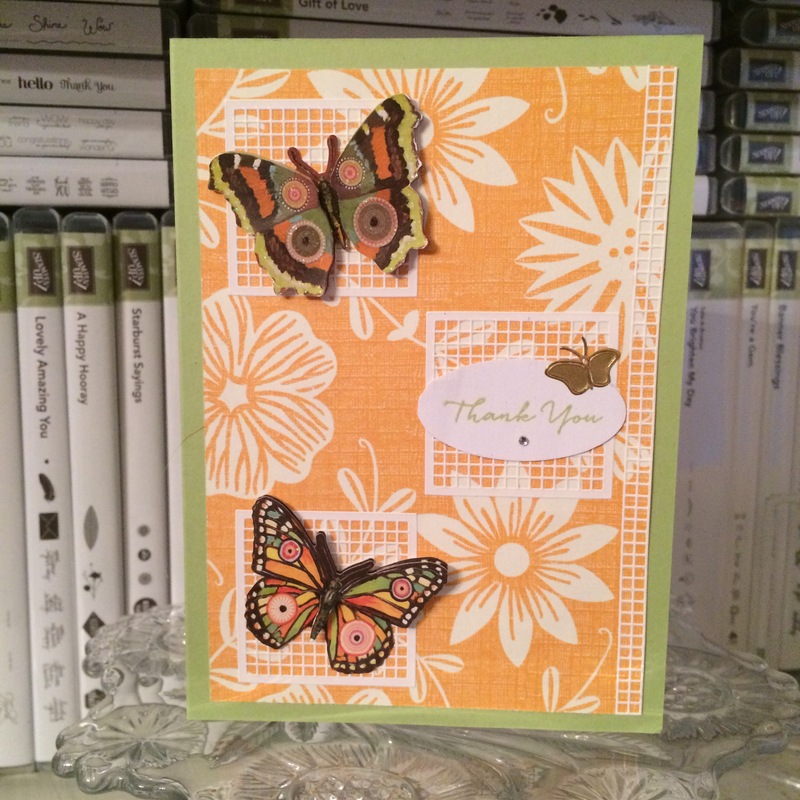 Coupled with the leftover orange flowery paper from the front (which I’d intended for a different card front), the white scrap was now the perfect size. 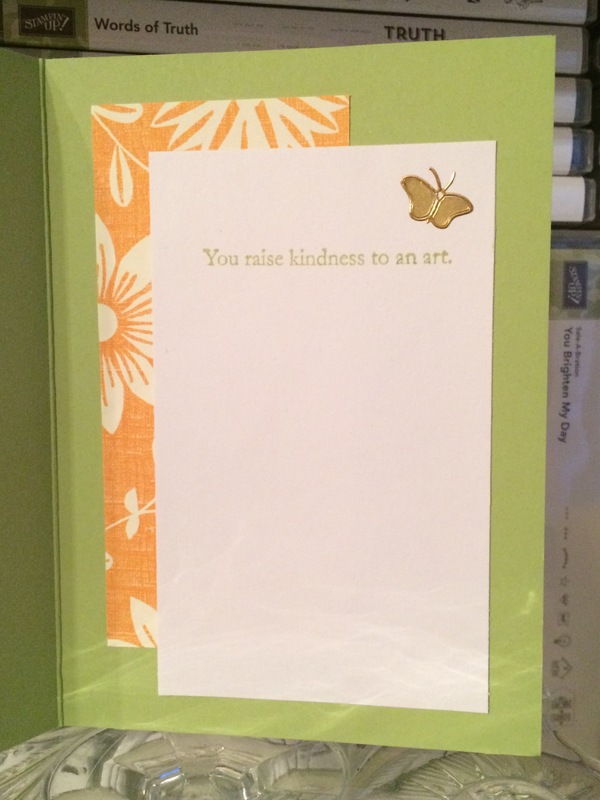 Then another sentiment popped into my head – “You raise kindness to an art” from SU’s “Vintage Vogue” set (retired) – and it didn’t take long to find it and stamp it on the inside. Certainly Celery ink again. Another gold butterfly on the inside and an identifying stamp on the back completed the card. Now that I’ve been creative AND blogged, it’s time to sleep again. Hope you like this little card offering for today. It’s just something quirky out of my own brain. Have a wonderful day!